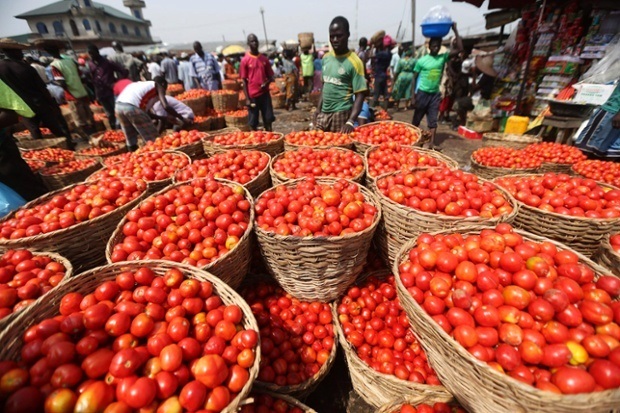 The National Bureau of Statistics (NBS) has said that food prices across the country have continued to rise despite the downward trend of Nigeria’s inflation rate. 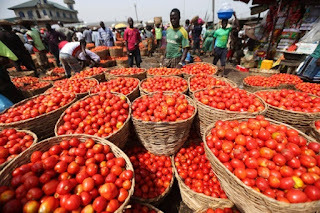 The NBS in the Consumer Price Index (CPI) report released on Tuesday measures indicates that the inflation rate dropped year-on-year from 16.01 per cent in August to 15.98 per cent in September. This is the eighth consecutive decline in inflation since January 2017. The report however shows that food inflation rose to 20.32 percent, from 20.25 percent in August. The report reads in part:”This was driven by notable increases in bread and cereal, meat, vegetables and other food items. Core inflation increased at a slower pace in September, rising by 12.10 percent, versus 12.30 percent in August. The rise in food prices includes increases in prices of potatoes, yams and other tubers, milk cheese and eggs, bread and cereals, coffee tea and cocoa, soft drinks, fish, meat and oil and fats. ”The highest increases were recorded in clothing materials and articles of clothing, solid fuels, garments, passenger transport by air, motorcycles, shoes and other footwear, furniture and furnishing and non-durable household goods,” the report added.